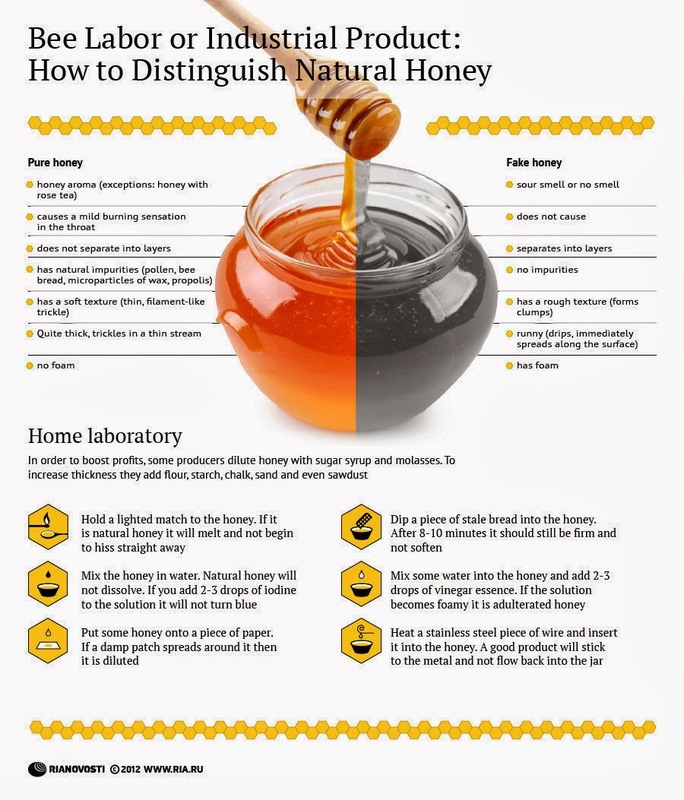 First up, this nice guide to how to tell if your honey is natural or if it has been tampered with. Although these are very much household tests and not going to give you a 100% scientifically conclusive result, it will give you some tell-tale signs if you have been a victim of honey laundering. Best way to avoid honey laundering though is to buy your honey from a local beekeeper - you will get all the benefits of having 100% locally produced honey with no additives. 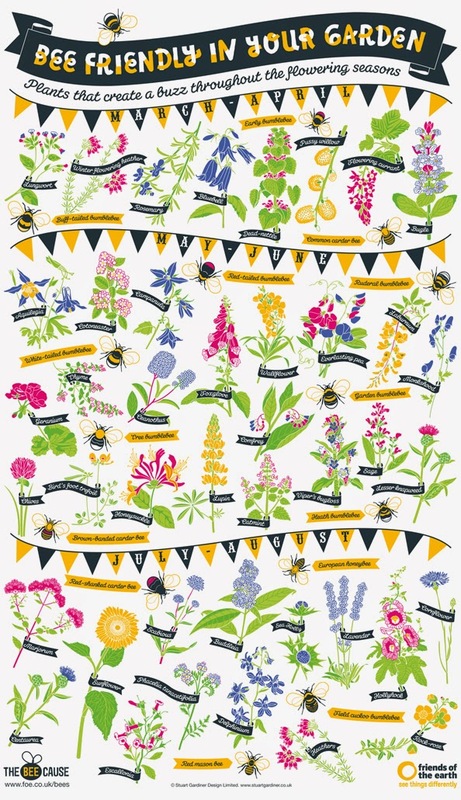 Next up, this very colourful guide to the plants you can grow in your garden that are bee-friendly - for all bees, of course, not just honey bees. It's really nicely done and a great effort from Friends of the Earth. 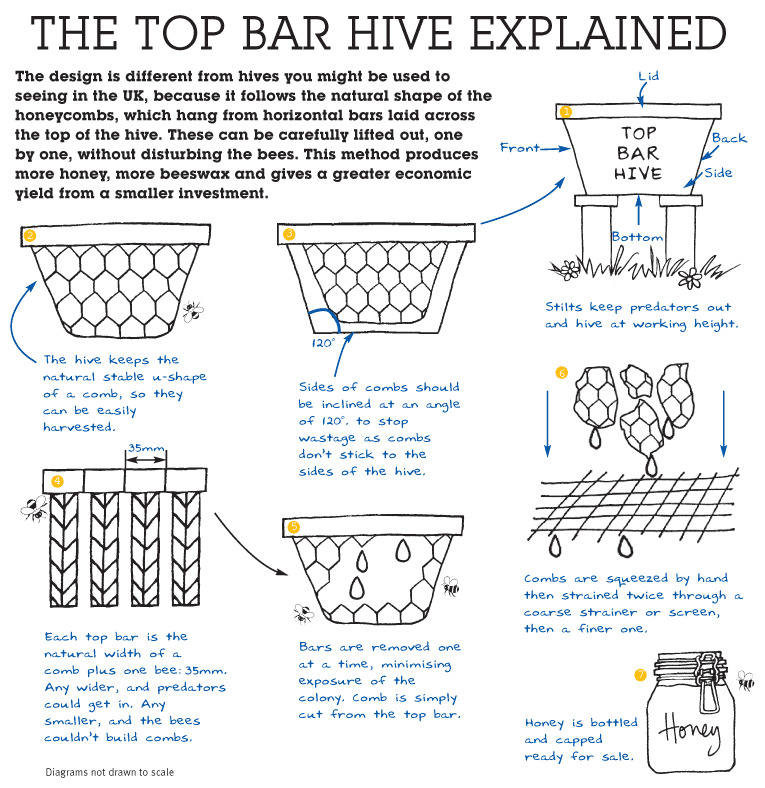 More if an illustration than an infographic, but worth including as it is a wonderfully simple introduction to how Top Bar hives work. Another colourful effort, this infographic is showing how the honey bee waggle dance works. Great fun and it shows the basics of this fascinating behavior. Serious stuff now, this infographic tried to explain some of the potential reasons for the decline of the honey bee population. From the USA, so the stats reflect US units, but still extremely relevant worldwide and nicely presented. 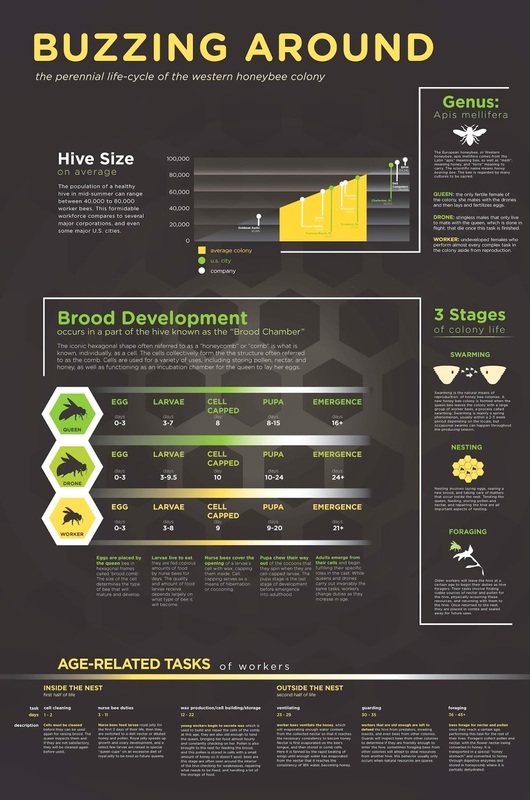 An infographic for beekeepers, this next effort shows the life-cycle of a honey bee colony, showing brood development in a really nice graphical format. Another big one, an educational beekeeping infographic here from Hobby Farms that shows the lifecycle of bees, the jobs they do in the hive and many other facts and figures about the hive and honey. 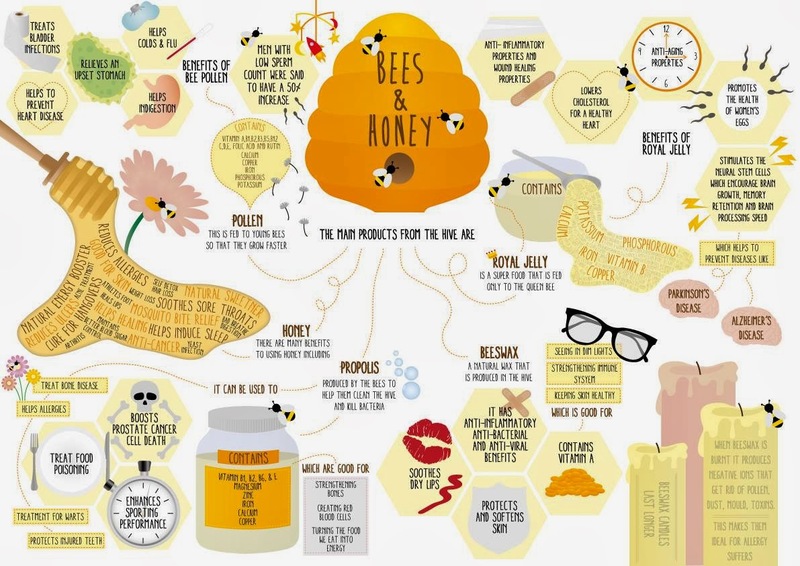 There are even more out there too, like this Bees and Honey infographic, which is worth a look. Some great illustrations of the uses of honey. And which beekeeper has not been asked the difference between bees and wasps? This infographic illustrates many of the differences in full colour. Finally, another covering some of the theories about honey bees and their potential extinction. Really nice graphics in this American infographic and very professional looking. So that is ten, but I found another worth adding; so here is another! 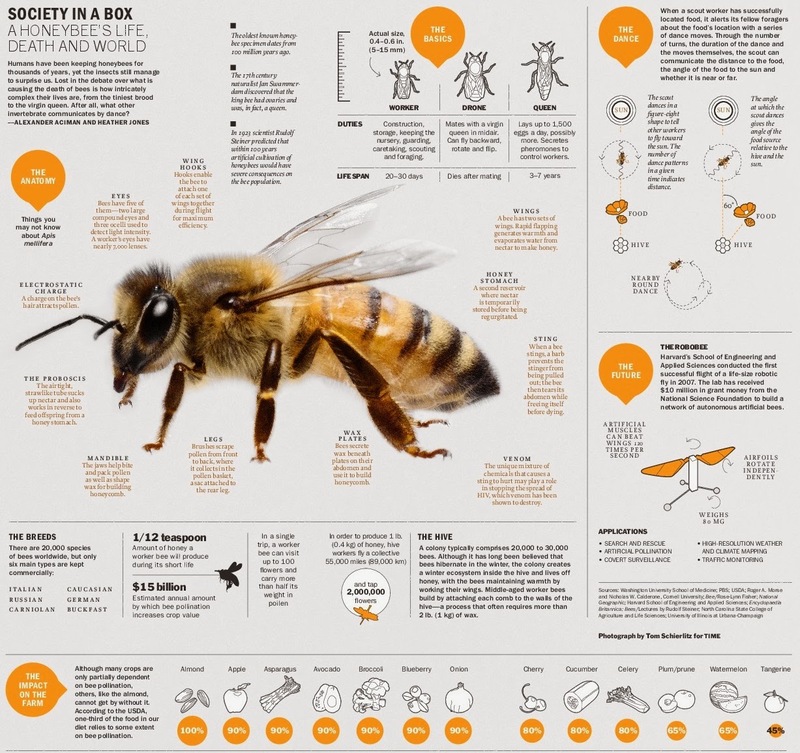 Thanks for sharing such a great selection of posters full of tip top bee keepinf information!